to mauve to white until night overcomes. Remove light Re move sounds to far. To farther. Absence full. Absence glow. Bowls. Left as they are. Fruit as they are. Water in glass as beads rise to the rim. Radiant in its immobility of silence. As night re veils the day. Today I’ve been thinking of Theresa Hak Kyung Cha’s “Aller/Retour” which appears in her experimental novel Dictee, originally published in 1982. My copy sits to my right, dog-eared and underlined. This poem appears in a series where we will explore other authors interactions with the text. Theresa Hak Kyung Cha (1951-1982) was a poet, filmmaker, and artist. 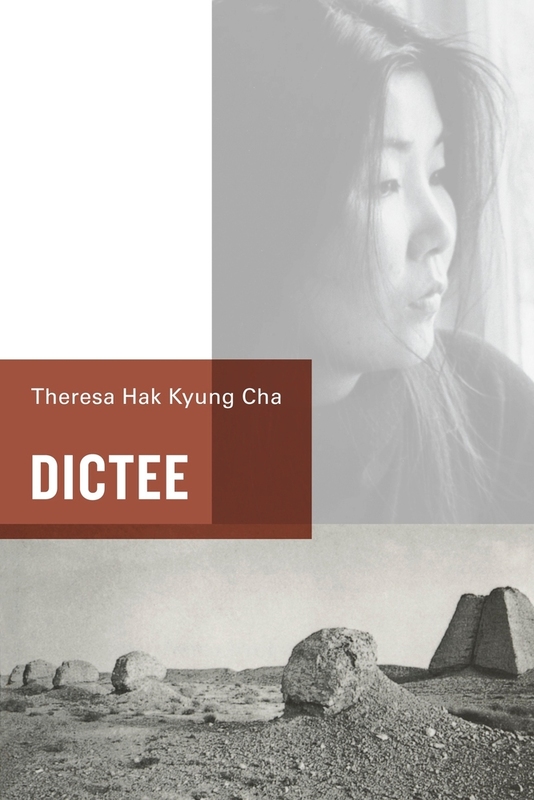 Theresa Hak Kyung Cha’s Dictee (1982) was put back into print by University of California Press in 2009. This poem has been posted with permission from University of California Press.